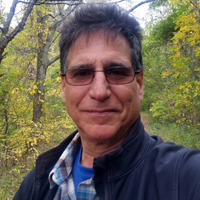 Barry Kolsky is an editor, motion graphic artist, guitar player and former music business executive with over 500 hours of television and movie production credits. Among recent accomplishments was providing editorial and graphic services for the critically acclaimed documentaries, “What in the World Are They Spraying?”, “Why in the World Are They Spraying?”, “Bound: Africans versus African Americans,” “Spirit of Love,” “Tuff Luck” and most recently the hit television series, "Toymakerz." Currently, completing editorial services on “BEX 1213,” a documentary about the history of the American supercar and “Blood, Frets and Tears,” a documentary about the celebration of the guitar. As a freelance offline and online editor, Kolsky has worked in many post production facilities in Hollywood. Prior to his visual artistic endeavors, Barry worked as a creative executive in the music business signing artists, songwriters and song catalogs generating streams of revenue for such companies as EMI Music, A&M Records and Paramount Pictures. Editing, playing guitar and family is not his only passion, he is an outdoor enthusiast averaging 20 - 25 nights a year sleeping under the stars while backpacking, hiking and fishing. In 2014 he hiked over 100 miles to Mount Everest Base Camp and documented the trek which is on YouTube.